77 and still putting out great albums, I’ve been eagerly anticipating each new Ian Hunter release for around three decades now. 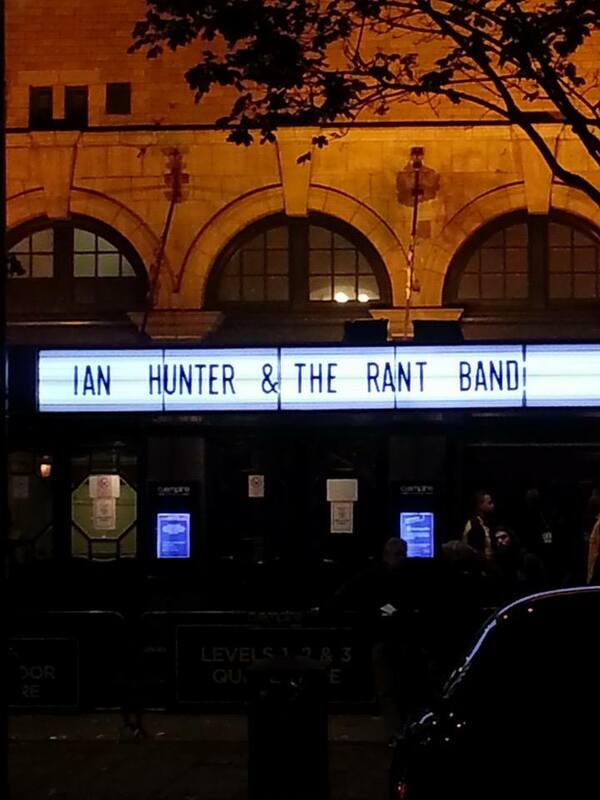 Fingers Crossed, Ian’s latest album with his superb Rant Band came out in September and it’s great to be seeing Hunter performing songs from that album live so soon afterwards. Other songs from his more recent career also make there way into the set. ‘When I’m President’, his caustic take on US politics seemed particularly apt tonight as we all still try to comprehend the future in the light of this week’s presidential election results. In his solo career Hunter has never been one simply to rest on past glories and has always sought to introduce new material into his set. But at the same time, however, it wouldn’t be an Ian Hunter concert without a selection of vintage classics interspersed with the newer material. From the Ian Hunter solo back catalogue ‘Once Bitten Twice Shy’, ‘Cleveland Rocks’ and ‘All American Alien Boy’ each made an appearance, while from the Mott The Hoople archive we got storming versions of ‘Honaloochie Boogie’, ‘All The Way From Memphis’ and ‘All The Young Dudes’. The Rant Band are on great form, as ever. Ian Hunter continues to be both a great rock and roll performer, as ever, and a thought-provoking singer-songwriter, as ever. Let’s hope there’s a good few more tours in him yet. I first got into Ian Hunter aged fifteen when I bought a second-hand version of Mott the Hoople’s Mott album. Everything about it appealed to me: Hunter’s eccentric but instantly recognisable vocals, Mick Ralphs‘ guitar, the pounding rock piano, the catchy and highly memorable songs. I was a fan straight away and soon began scouring the second-hand shops for other Mott the Hoople albums. Then I moved on to Hunter’s solo career. And while it’s true that some lead singers from classic name bands went on to make some pretty ropey solo albums, I was pleasantly surprised when I bought Hunter’s You’re Never Alone With A Schizophrenic to find that his solo albums were equally brilliant, too. So it’s fair to say that I’ve followed his career closely for well over thirty years now, eagerly buying every new album as it’s released, seeing him solo on numerous occasions as well as catching both Mott the Hoople reunions. And so to tonight. Shepherd’s Bush Empire is a wonder in itself. It’s always great to be inside this old Edwardian music hall, seeing it given renewed life as one of London’s iconic rock venues. It’s no stranger to live performances from Mr Hunter and is the perfect setting for this, the last night of the tour. After the support band finish Hunter saunters on stage about 9pm, every inch the cool rock star. It’s scarcely believable he’s now 75 years of age and it’s even more unbelievable he still continues to write, record and perform highly original and consistently good songs that continue to attract glowing reviews. Although he is shrewd enough not to disappoint audiences who want to be able to celebrate some of the classic songs from his earlier career, he has eschewed a life of constantly touring mere greatest hits packages, however. Tonight therefore, we get brilliantly original songs from his more recent career, like When I’m President and Girl From the Office, alongside older solo standards, like Once Bitten Twice Shy and Irene Wilde, as well as a smattering of Mott the Hoople classics, like All the Way from Memphis and I Wish I was Your Mother. It’s a great mix and the quality of the songwriting shines throughout, as does Hunter’s wonderfully distinctive voice which has not diminished with age. He is assisted by his excellent five-piece backing band, The Rant Band, who each display incredible musicianship, from the slower more poignant ballads to the all-out rockers. 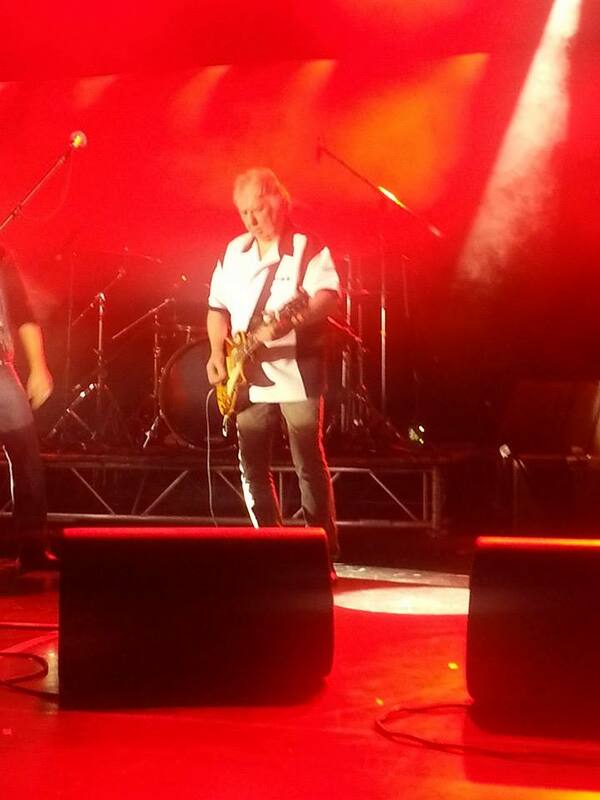 As the main setlist comes to an end and the crowd loudly call for an encore Hunter, invites old bandmate, Mick Ralphs, on to the stage and they launch into Roll Away the Stone, Life (a new Hunter anthemic sing-along from his last studio album) and the inevitable but still brilliant All the Young Dudes. Indisputable evidence that Ian Hunter remains one of the most interesting and entertaining artists on the planet.